«Il 5 marzo 2016 Nikolaus Harnoncourt è morto serenamente, circondato dalla sua famiglia. La pena e la gratitudine sono immense. È stata una relazione meravigliosa»: sono queste le parole con le quali Alice Hoffelner ha annunciato la scomparsa di suo marito. Soltanto 3 mesi fa, il 6 dicembre 2015, giorno del suo 86° compleanno, Harnoncourt aveva annunciato il ritiro dalle scene con una lettera, scritta di suo pugno, e distribuita al pubblico alla Muskverein di Vienna. Direttore d'orchestra, musicologo e strumentista austriaco (Berlino 1929 - St. Georgen im Attergau 2016). Una delle più eminenti autorità nello studio ed esecuzione della musica antica, ha affrontato lo studio della prassi esecutiva rinascimentale e barocca e delle caratteristiche costruttive e foniche degli strumenti dell'epoca, riuscendo a coniugare in modo esemplare la pura ricerca musicologica con le esigenze della pratica musicale. Tra i numerosi riconoscimenti e premi ricevuti occorre citare l'Ernst von Siemens Musikpreis (2002) e il Kyoto Prize (2005). Nel dicembre 2015 ha annunciato il suo ritiro dalle scene. 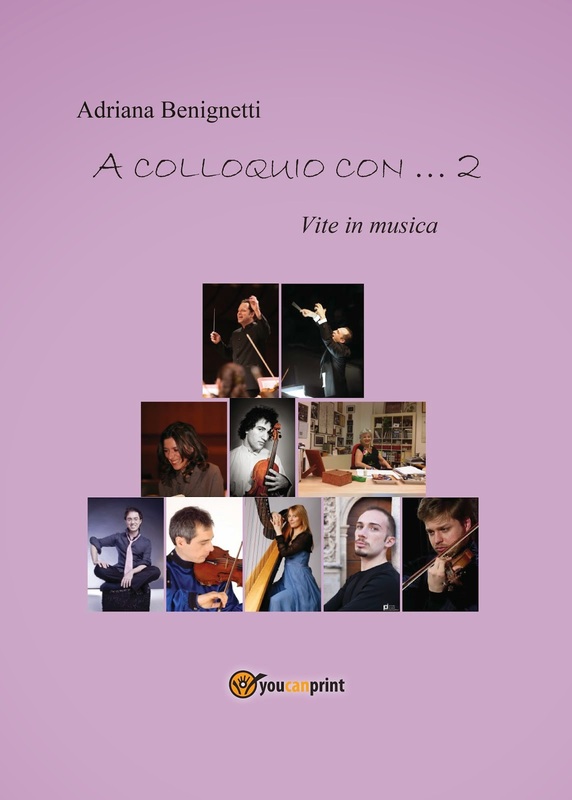 Di famiglia aristocratica, si dedicò con successo allo studio del violoncello. L'interesse per la riscoperta e lo studio della musica antica lo spinsero a fondare nel 1953 il Concentus Musicus Wien, che si impose come nuovo punto di riferimento per la corretta esecuzione della musica barocca: fecero sensazione l'interpretazione dei Concerti branderburghesi e delle Cantate di Bach e la riproposta delle musiche di Monteverdi. Tra il 1975 e il 1989 creò un sodalizio con il regista J. P. Ponnelle all'Opera di Zurigo per la messa in scena delle opere di Monteverdi e di Mozart e in seguito con quel teatro ha continuato ad avere un rapporto privilegiato (Fidelio, 1992; Der Freischütz, 1993; La belle Hélène, 1994; Aida, 1997; Die Fledermaus, 2000; Armida, 2003). Dal 1973 al 1993 è stato prof. al Mozarteum di Salisburgo. Dal 1985 prende parte con assiduità al Styriarte festival di Graz ed è ospite delle principali orchestre del mondo, dirigendo anche il repertorio romantico e contemporaneo; nel 2003 ha festeggiato i 50 anni di attività del Concentus Musicus con un concerto al Musikverein di Vienna. Nel 2005 ha inaugurato la stagione operistica del Teatro alla Scala con l’Idomeneo di W.A. Mozart; nello stesso teatro ha interpretato nel 2007 la Salomè di Richard Strauss. Born in Berlin, the Austrian conductor Nikolaus Harnoncourt spent his childhood and youth in Graz, where he grew up in the Meran Palace. His father was a scion of the de la Fontaine-d’Harnoncourt-Unverzagt family, Counts of Luxembourg and Lorraine, his mother the great-granddaughter of Archduke Johann of Styria. Heeding his early artistic ambition, he ultimately preferred to study cello at the Vienna Academy of Music. He joined the Vienna Symphony Orchestra as a cellist in 1952. A year later he founded the Concentus Musicus Wien together with his wife Alice, to provide a forum for his increasingly intensive work with period instruments and Renaissance and baroque musical performance tradition. Nikolaus Harnoncourt collected historical instruments and, in addition to his performing and conducting activities, devoted his time to his philosophical analyses of “Musik als Klangrede” (“music as speech”), which have to date remained the seminal works on the performance of early music, the key to an entire universe of forgotten works and musical experiences buried under the sands of time. From 1972 Nikolaus Harnoncourt taught performance practice and the study of historical instruments at the Mozarteum University of Music and Dramatic Arts in Salzburg, while at the same time enjoying growing success as an opera conductor. His debut at the Theater an der Wien with Monteverdi’s “Il ritorno d’Ulisse in patria” in 1971 was followed by the now legendary cycle of Monteverdi operas, which he developed in collaboration with Jean-Pierre Ponnelle, director at the Zurich Opera House, and which was universally acclaimed as a sensational breakthrough. This cycle was followed by an equally exemplary and ground-breaking cycle of Mozart operas, again at the Zurich Opera House and again in partnership with Ponnelle. Nikolaus Harnoncourt’s career as a conductor of both orchestral works and opera encompasses Viennese Classicism, the Romantic repertoire and works from the 20th century. Some milestones are a Mozart cycle at the Vienna State Opera, the Salzburg Festival with mit Monteverdi’s “L’incoronazione di Poppea” and Mozar’s “Le nozze di Figaro”, “Don Giovanni” and “La clemenza di Tito”. In between, he repeatedly returned to Zurich with Weber’s “Freischütz”, Schubert’s “Des Teufels Lustschloss” and “Alfonso und Estrella”, Offenbach’s “La belle Hélène”, “La Périchole” and “La Grande-Duchesse de Gérolstein”, or Verdis “Aida”. With the Concertgebouw Orchestra of Amsterdam, the Chamber Orchestra of Europe, and the Vienna and Berlin Philharmonic Orchestras, Nikolaus Harnoncourt constantly reinterprets and rediscovers the grand repertoire of orchestral works: the concertos and symphonies of Haydn and Mozart, Beethoven, Mendelssohn, Schubert, Schumann, Brahms, Dvorák and Bruckner, but also the works of Bela Bartók and Alban Berg. A central venue for many of these projects has been and still is the styriarte Festival, founded in 1985 to establish a closer link between Nikolaus Harnoncourt and his home city of Graz. This is also where he first conducted Schuman’s „Genoveva“, the Prelude and Liebestod from Wagner’s “Tristan and Isolde” and, in 2001, Verdi’s “Requiem”. In 2003 these were followed by the first scenic production of an opera with Offenbach’s “La Grande-Duchesse de Gérolstein” and by Bizet’s “Carmen” in the year 2005. In 2008 Nikolaus Harnoncourt not only conducted but also directed an opera in Graz: Mozart’s “Idomeneo”, which was highly acclaimed by national and international media (“once-in-a-hundred-years event”, Frankfurter Rundschau). In 2009, he proved to even have “the blues running through his veins” (Die Welt) with a highly acclaimed production of Gershwin’s “Porgy and Bess”, in 2011 he conducted in Graz a sensational production of “The Bartered Bride” (Smetana), followed by Offenbach’s “Barbe-Bleue (Bluebeard)” in 2013. And 2014 he traced back to baroque music as he brillantly realised a scenic production of Purcell’s “The Fairy Queen”. 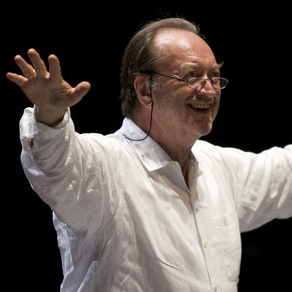 Today, Nikolaus Harnoncourt is one of the few true stars among conductors worldwide. Performances like the New Year’s Concert of the Vienna Philharmonic Orchestra enable him to reach an audience of millions, displaying the characteristic passion and fiery intensity that identify him, first and foremost, as a true servant of his art.